A bigger brush for bigger holds. The Psychi Large Wooden Boar Hair Brush is just like it sounds: a sturdy, eco-friendly wooden handle, with natural boar's hair bristles that are kind to rock and resistant to fraying. This brush will be ideal for cleaning large slopers or volumes quickly. 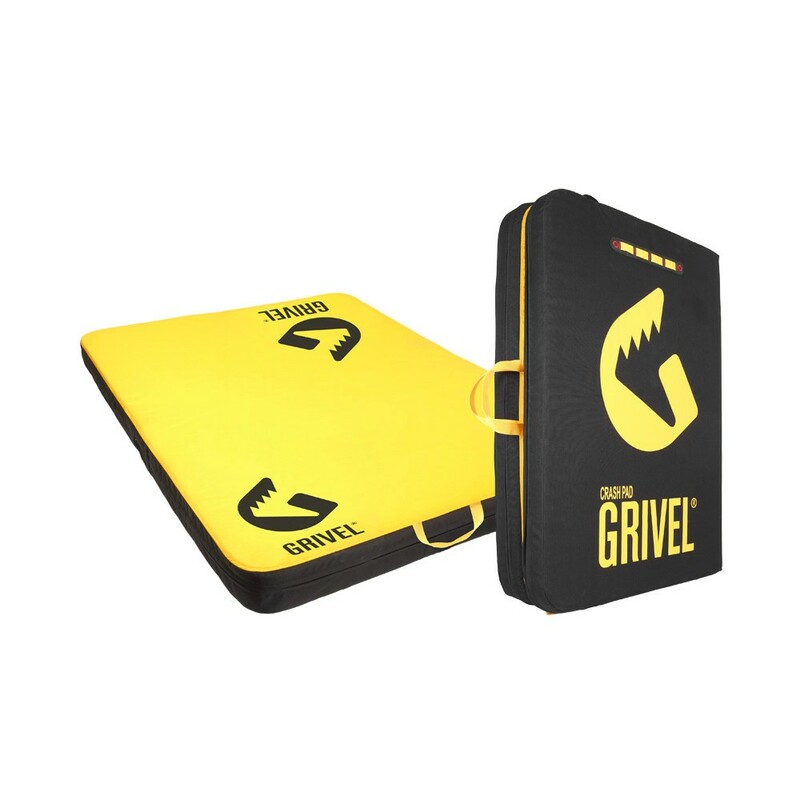 The Grivel Crash Pad is a bouldering crash mat designed to get the job done. The simple folding design of the Grivel Crash Pad consists of heavy-duty nylon wrapped around double-density, 12cm thick foam. Simple drag handles at the sides and backpack straps on the base make for easy transportation options, whether you’re carrying it between boulders or a long approach, while sturdy metal buckles keep the pad firmly folded when it’s on your back.